Operational videos – These videos show the basic operations of the major components of our laser systems, such as: laser, target, readout and software. For example, there are videos for the L-743 Ultra Precision Triple Scan® Laser, A-1519-2.4ZB Wireless Target, R-1307B-2.4ZB Readout, the L-111 Laser Stand Assembly, and more. 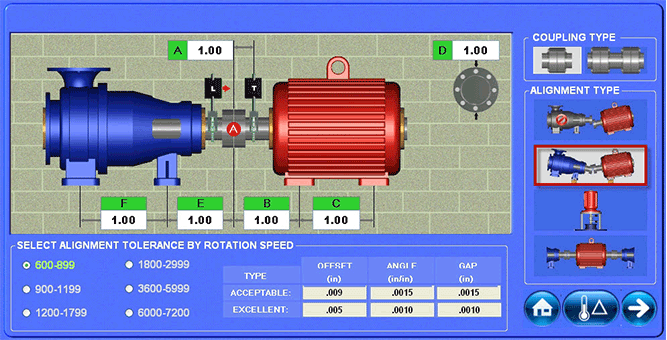 Laser setup videos – These are the “nuts and bolts” of setting up a laser alignment system that can be applied to any application. We call aligning a laser to reference points, “bucking-in” or “buck-in”. In this set of videos, you’ll learn about 2-Point and 3-Point Buck-ins with our L-730/L0740 Series Scanning Lasers. These techniques can be applied to our bore and spindle lasers, too. And for those who cannot access the internet or would like to have a portable training aide, we are offering a 10-inch tablet pre-loaded with all the training videos, troubleshooting guides from our Hamar Knowledge Base, manuals, application notes and brochures. The tablet has up to 6 hours of battery life to view videos and read through application notes even while “on the job.” Contact us at sales@hamarlaser.com for a quote. In just 5-Steps Couple6™ software featuring Easy Guide™ navigation leads users to the fastest precision alignment available today. Learn more, and take the Couple6™ tour today.